You are here: Home Drone Market Selfie Drones: Who Needs Selfie Sticks When You’ve Got Drones? Yes, to a rational human being used to DSLR cameras on a tripod and only willing to go as far as a selfie-stick, a selfie drone might sound a tad bit too much. After all, who needs a flying robot to take their own pictures? The answer to that question would surprise you. Almost everyone who has ever taken a selfie (and that is nearly three billion people on this planet: those who have smartphones) is probably willing to try their hands at a selfie drone. It combines robotics, aeronautics, photography, and self-absorption. It is a match made in the skies. Selfie drones have quickly become so popular that we now have compact, foldable and highly portable models. These pocket selfie drones have high-resolution cameras integrated into the build and even allow you to take command of your selfie sessions by providing you with a wide variety of control options for the best possible imagery and result. What Are Some of the Best Selfie Drones on the Market? These are just some of the popular options on the market today. The big selling point is that most of these pocket selfie drones are not only small, but they are foldable and very portable. In fact, most of them are no bigger than your smartphone. 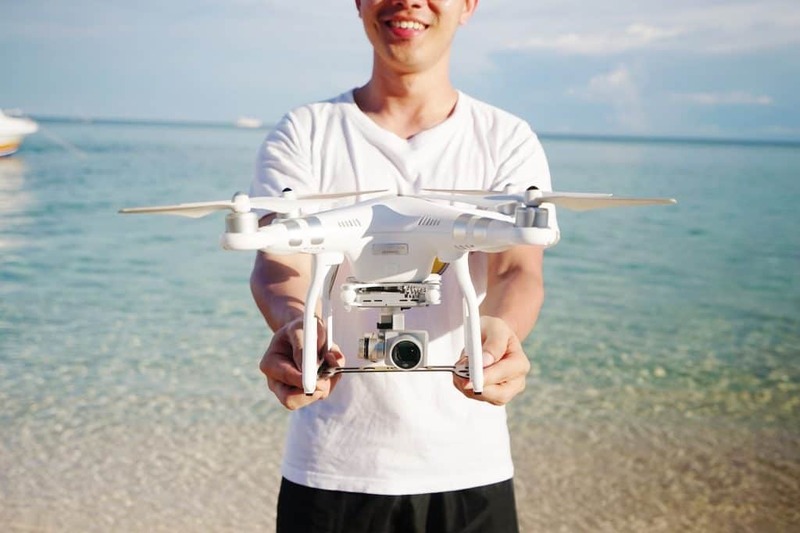 Why Purchase a Selfie Drone? Portability: In the past, when people wanted to take aerial images of themselves, buildings or landscapes, they used to hire helicopters and a film crew. What is the point of buying a drone that will need a moving van to transport to every location? The whole idea is to have a drone that is not only ideal regarding aerial footage but also convenient in terms of transportation as well as deployment. You need something very portable. So portable in fact that it can fit in your pockets. Intelligent features: You need a drone that offers you a variety of control features and flight modes. Something that you can use even gestures to direct, or something that has visual sensors, so it can locate you even without GPS. You also need something that has a timer, so you know when to smile or jump or even cartwheel. Ease of control: You do not want military-grade drones that require an entire command base to operate. A selfie drone should be easy enough to control that it doesn’t give you a headache. It should also have excellent flight time for better enjoyment. To most people, all this might sound like science fiction. To hear that you can take selfies of yourself hanging from the cliff of your favorite rock climb to even self-images of yourself diving into a pool or jumping off a ledge without needing the help of a professional photography and helicopter crew is plain crazy. But that is the world we live in now, and if you are willing to learn and explore, you can get the best selfie drones that will give you incredible images at every given turn.